Visualizing and showcasing your global brand with an interactive SaaS platform. Introduction of new marketing technologies that are truly game-changers are rare – yet there is a constant need in what companies require to communicate to their customers or shareholders. The new innovative marketing tool from 5XD is built upon a SaaS model that is extremely scalable for all types of media while focusing on providing that “WOW” factor through immersive high-end gaming-type graphics. The new platform creates a lens for media and breathes new life into existing content. 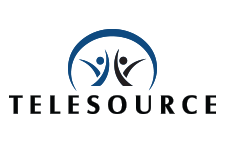 TeleSource Communications is a unique provider of Telecom Expense and Inventory Management (TEiM) software ensuring visibility, understanding, and control over the diverse communication technologies in marketing and advanced communication platforms. Their award-winning proprietary software and methodology actively monitors devices and hardware within data networks and provides cost-effective procedures to manage all your communication needs. Ronnie Bice, CEO, has served as President and CEO of TeleSource since its inception in 1996. The “One Source. One Contact. One Solution” vision initially bore fruit as enterprises had been searching for a telecommunications solution provider to source and support all the telecom products and management services required to power their business operations. Ronnie provides the marketing and communications backbone for the support and distribution of the 5XD product.